It’s rightly said that holding elections is one of the most significant features of the democratic process in any country. Elections are held periodically to gauge which political party is popular with the populace. In essence, appealing to the will of the electorate is what makes a democracy such a robust and endearing process. As part of our democratic dispensation, the General Elections were held in Pakistan on July 25, 2018. Although the lead up to the polls was marred by unfortunate incidents in Balochistan and Khyber Pakhtunkhwa (K-P), yet Pakistan saw relative peace and tranquillity on election day. 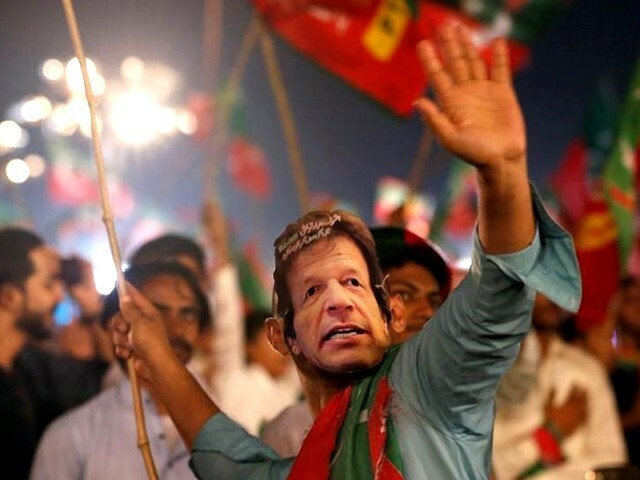 Subsequently, cricketer-turned-politician Imran Khan’s party the Pakistan Tehreek-e-Insaf (PTI) broke the myth that there are only two strong political parties in the country, namely the Pakistan Muslim League-Nawaz (PML-N) and the Pakistan Peoples Party (PPP). He proved that PTI is second to none; not anymore. After forming a coalition government in K-P post the 2013 Elections, PTI prioritised the welfare of people and gave much heed to human development in the province. Chief Minister Pervez Khattak, being a seasoned and sagacious statesman, worked tirelessly to help build the foundation of institutions. During his tenure as CM, PTI not only introduced reforms in the police, education, health and justice departments, but also made said departments quintessential for other provinces to follow. The fact that PTI has been voted into power for a second consecutive term is testament to the popularity and trust this party enjoys in K-P. Never has any party been elected twice in K-P over the course of seven decades in Pakistan’s young history. Many pundits ascribe this unprecedented achievement to the public friendly policies initiated by PTI stalwarts. The people of K-P spoke by giving PTI a two-third majority in the province. Out of the total 97 seats, they were able to secure more than 60. This thumping victory by the party bodes well for ushering in an era of prosperity and development in the province. With more than 64 MPAs, the party is all set to reclaim the province – this time with more ease and a compelling mandate. Before I delve deeper into what led to the sweeping victory of PTI in K-P, let me give you a clear picture of the five-year long tenure of the party. Firstly, after assuming power, the party had to grapple with the incessant threat of terrorism and extremism in K-P and adjoining areas. Secondly, the state of education and health back then was dismally dispiriting. Thirdly, like other parts of the country, corruption had become endemic here as well. Fourthly, the rising numbers of unemployment were equally disturbing for those living in the province as they struggled to find jobs. Lastly, the province lagged far behind Punjab and urban Sindh with regards to infrastructure and innovation. Apart from the aforementioned woes, the province was facing ecological and socio-economic crises. However, the party managed to get over these issues meticulously. Within just a couple of years, the K-P police became the most proficient and highly professional force in the country. From thwarting the nefarious designs of inimical forces to cracking down on drugs, the K-P police won the hearts and gratitude of the people of the province. The education system also flourished under the PTI-led government. Health cards were distributed among the destitute and those who couldn’t afford healthcare facilities. Thousands of school teachers were recruited based on merit. The billion tree tsunami project also proved to be a tremendous success, given the fact that Pakistan is also in the midst of another intense heat wave. Furthermore, the de-politicisation of the police and the creation of the Ehtesab Commission earned the party a lot of credit. Earning the trust of the public paid off for the PTI, which couldn’t form the government in the centre and Punjab back in 2013, but now things have dramatically altered in favour of change. Imran’s slogan – the central premise of which is changing the way Pakistan has been governed over the years – has resonated with all and sundry. It now seems palpable that Pakistan is finding a truly patriotic and sincere leader, someone the nation has been longing for. Maulana Fazlur Rehman, Asfandyar Wali Khan, Sirajul Haq and many other highly influential politicians had to bite the dust this time, as the people of K-P willingly gave an overwhelming mandate to PTI. The people of K-P have thus reposed their trust in PTI and are optimistic about the fate of their province under his leadership. Let’s hope this victory ends the status quo and brings considerable amelioration to the lives of our people. Lastly, before forming the provincial government in K-P, Imran has to choose a trustworthy and unyielding leader who should have the quality of being the right man for the job. Another indication that Imran is following through on his promise of change is the decision to not bring Khattak back for the coveted position of the CM, and name other deserving candidates such as Atif Khan, the former education minister for K-P, and Shah Farman, the former information minister. Instead, Imran wants former CM Khattak to be a part of the federal cabinet. Though the party is riding high and consolidating the gains of Khattak’s governance over the past five years, they are also making it clear that other people will be given a chance so that the mandate given to them is delivered upon. Electing the PTI government for a second time shows that the people of K-P crave the dividends of a government that truly cares for them and acknowledges and works on reducing their genuine grievances. After all, only when you serve the people do you manage to get their trust and approbation, and the PTI has managed to do just that. Afghanistan can accept the Taliban, but not recognise the Durand Line? Agree with you ….. if I am not wrong in every national election as well the incumbent has never been returned to power. As for KP this certainly is a first.